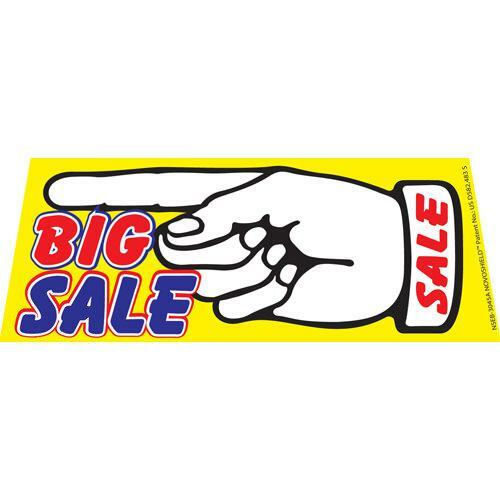 July 4th Sell-a-thon windshield banner perfect for any business! 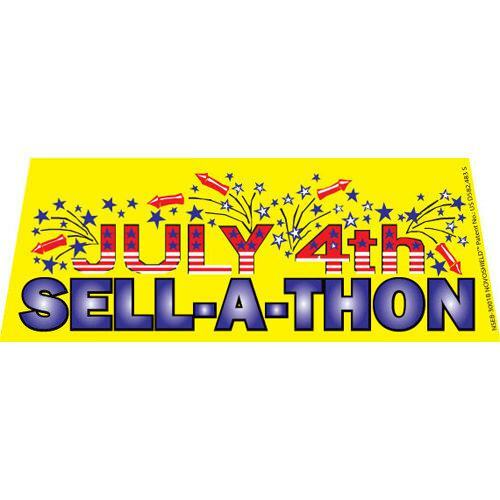 July 4th Sell-a-thon windshield banner is a yellow banner with red and blue text. 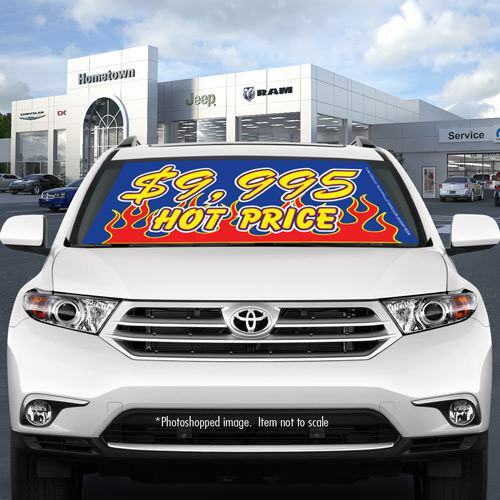 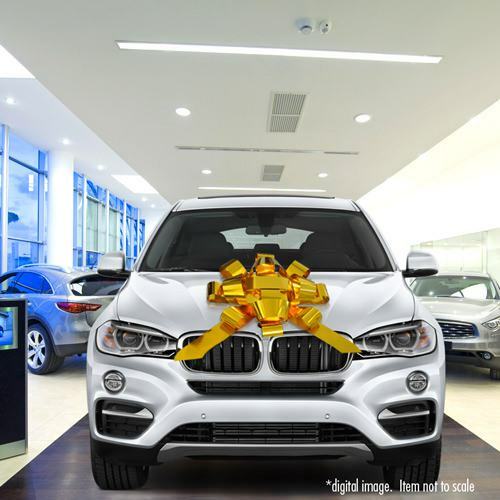 This banner is perfect for any and every dealership or business. 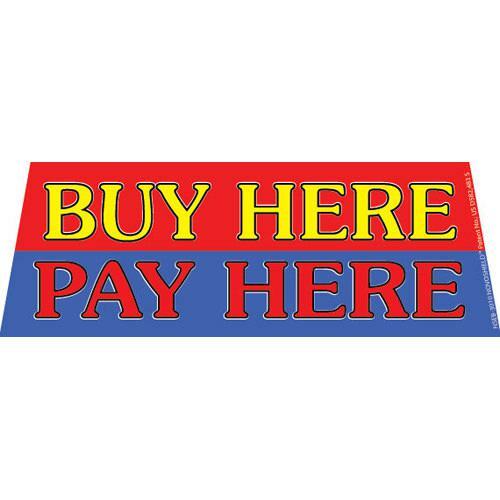 Our windshield banners are simple to set up with aluminum poles and bungees at both end’s. 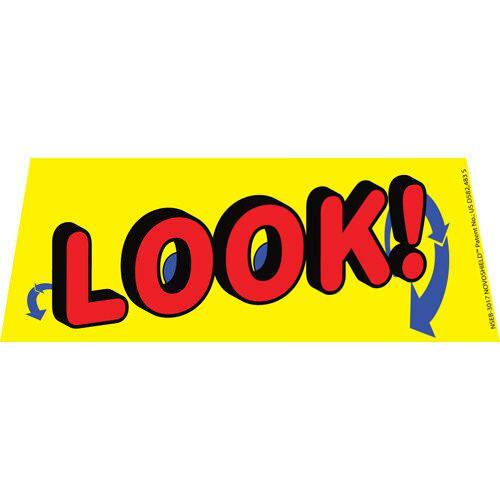 Fits most car or truck windshields.